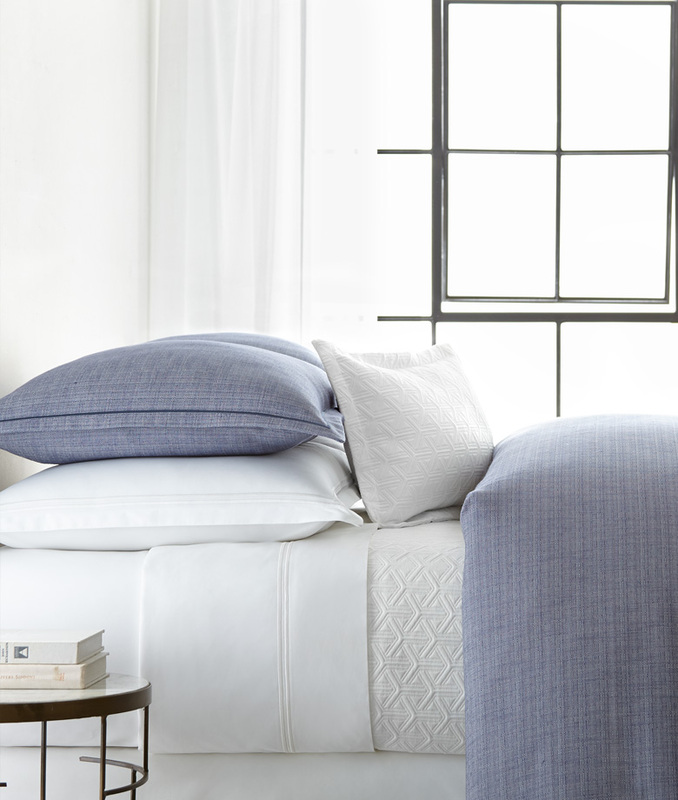 Emery, our modern geometric Matelasse with a coastal flavor in Snow, Linen and Navy. Alternate photo shown with our NEW! Regatta Duvet Cover and Shams. NOTE: Our Emery Duvet Covers and Coverlets are made from 54" goods, so this product will have seams top of bed.